***WE ARE AN AUTHORIZED 3M CUNO AQUA PURE PRODUCTS DEALER WITH OVER 20+ YEARS EXPERIENCE. Questions?... Please Call Us. ***SPEND OVER $300, USE THE COUPON CODE ( superwater20 ) ON CHECKOUT FOR AN ADDITIONAL $20.00 OF YOUR ENTIRE ORDER w/ NO TAX (**Except Florida). 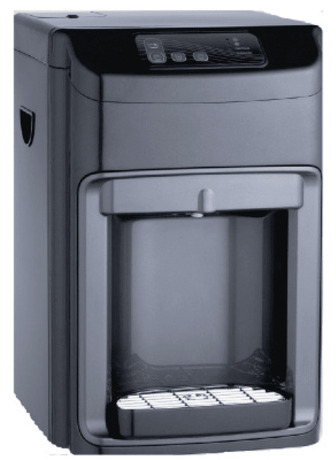 PLEASE NOTE: **THIS GLOBAL G5CT ( SHELL UNIT ) COUNTERTOP COOLER DOES NOT SHIP FREE.
. ***We Offer Discounted Freight Shipping and Insurance at $85.00 per unit, and per order on all Global Water Cooler orders. Questions?...Please call Us. The G5CT ( Shell Unit ) Countertop is equipped with every feature of its full-size counterpart, but its compact size allows it to fit easily on countertops. With three temperature options, and a large dispensing gap illuminated with a blue LED light, its sleek and compact design makes it ideal for small offices and break rooms.